Air Conditioning Repair New Braunfels - Is Your Air Conditioner Too Small? As we wrap up our summer and drift slowly to the crisp breezes and chill of fall, we might be relying less on our air conditioning to keep our homes in New Braunfels cool. But even in fall, we get the occasional hot day, meaning that some will power up the AC one last time for the year. But maybe when you power on your AC, you notice that something feels off with your unit. Maybe all summer you’ve felt like your home never really got cool and you’ve only just now realized. What many homeowners don’t realize is that your air conditioner needs to be sized to fit your home. In many cases, it may be too small! In today’s blog, the air conditioner repair specialists at Legacy Services Air Conditioning & Heating will cover the signs that your AC might be too small for your home. In the summertime, we naturally expect the electric bill to raise a little bit. We run the air conditioning more, and that requires more energy, so it makes sense. But if your electricity bill seems much higher than you expected, it might be your air conditioners fault. Ask your friends and neighbors how much they pay in utility bills every month and compare. 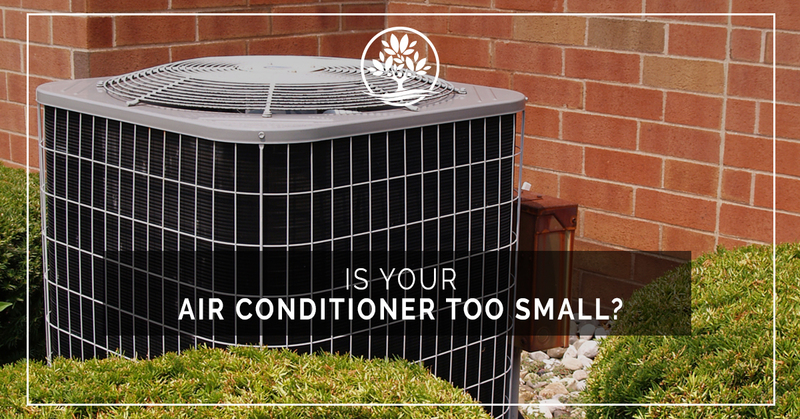 If you find that you’re paying hundreds more than they are, it might be because your AC unit is too small. When those fall days are still just a tad to warm for your liking, you might turn on the AC just to take the edge off a bit. But despite the reassuring hum of your AC working away, your home doesn’t get any cooler. If your AC is struggling to bring the temperature in your home down to below 79 degrees, this is a sign that your unit is too small. Air conditioners today rely on a cooling cycle, where the unit cools the home over a period of time, rather than just constantly pumping cold air into the house all day. This cooling period might be longer than you expect, but if you’re waiting hours to notice any temperature difference, this can be a frustrating side effect of a too small air conditioner. When air conditioners first started becoming a common addition to homes across the United States, they were far less energy efficient than the models we have today. In the 1950s and 1960s, it wasn’t uncommon to find an AC unit working all day and all night, constantly creating cool air to vent into the home. The energy crisis in the 1970s forced air conditioner manufacturers to rethink how their air conditioners were functioning. They settled on a design that would work in cycles, producing cool air over short periods of time, turning back on when the temperature rose above a certain temperature. In today’s air conditioning models, these cycles typically last 30 minutes, during which the AC will cool the air. At the end of that cycle, you should feel the temperature drop. In many cases, your AC won’t cycle again for a few hours. However, if your AC runs a cycle, and then only a few minutes later runs another cycle, it means that your small air conditioner is working harder to keep the air cool. As New Braunfels’ Top Rated Local® HVAC Service, we’ve served the neighbors in our community for more than 30 years. In that time, we’ve helped homeowners with air conditioner repairs and even replaced their worn out, or too small units. If you feel that your air conditioner is in need of inspection, or maintenance, call us now! 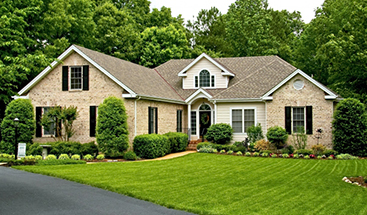 We’re happy to come out to your home and take a look. We even offer 24-hour air conditioning services to ensure that you never have to deal with a busted AC for very long. If you’re in need of a new air conditioner entirely, be sure to take advantage of our regular specials, and ask your installation technician about our financing options. Connect with us today and get your free estimate on your air conditioning repair or replacement services.